Over the last thirty years, theclaim that sport matters has been widely accepted in social science scholarship. It is considered as a constitutive element of everyday life and popular culture, within a particular historical and social setting. 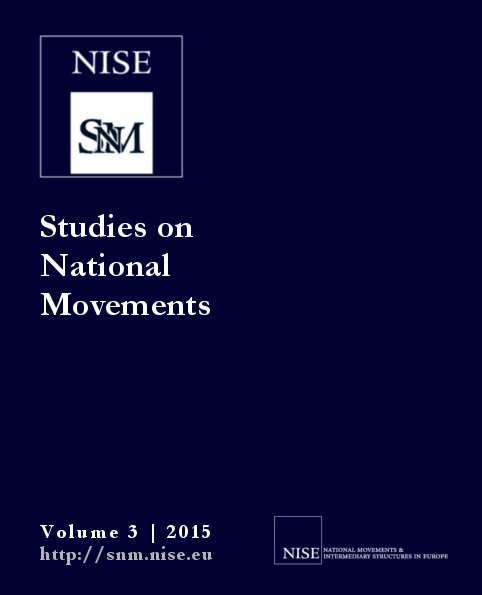 This setting can be a nationalist one: there is agreement in nationalism and identity scholarship that sport constitutes a major ritual of popular culture contributing to the theoretical concept of the nation as an imagined community. Hence, it is an important topic in the State of Nationalism series. Dario Brentin is currently a University Assistant at the Centre for Southeast European Studies at the University of Graz and a PhD student at the Schoolof Slavonic andEast European Studies at the University College London. His research interests cover the nexus of sport and ideology in Southeast Europe and beyond. Laurence Cooley is currently a Teaching Fellow in the International Development Department at the University of Birmingham. His research interests include the promotion of power-sharing institutions by external actors in post-conflict states and, more recently, the governance of sport in deeply divided societies. In February 2017, he will start a new role at Birmingham, as an ESRC Future Research Leader working on a project about the politics of the census in consociational democracies.